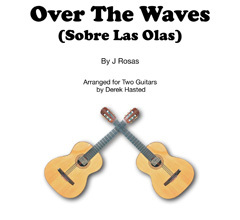 Want a piece of free music? 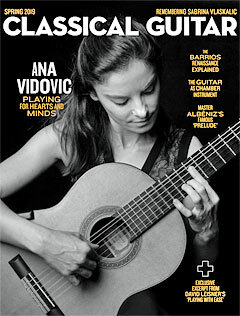 This Spring's Classical Guitar Magazine features "Captivation", one movement from my 4-movement suite "Celebration", written for intermediate players who want an accessible "big piece" with first-time appeal for an audience. 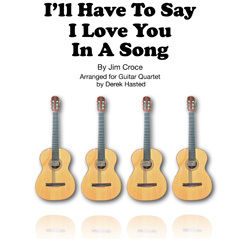 Written with the bottom string tuned down to D, there is a big sound based on simple and familiar shapes. 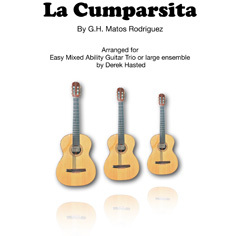 Order the complete suite "Celebration" from Corda Music Publications Send an email with your name and address - Celebration is GBP3 (£3) and they will quote you a price including post and packing. 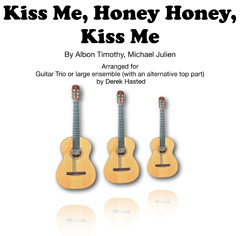 Just a heads-up that the PMF Guitar Day has moved from the Half-Term Weekend round to Saturday March 9th 2019, at Park Community School, Middle Park Way, Havant, PO9 4BU. 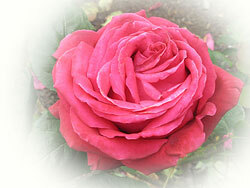 The day starts at 10:30 - do come along and support the day itself (and optionally, some of my students!). I'll also be there with fusion. 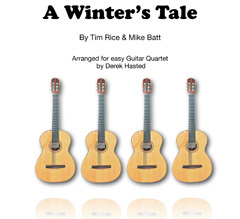 I have just published "A Winter's Tale" for easy to intermediate guitar quartet or large ensemble - it's based on an arrangement that's been proven in concert, and it works equally well with 4 guitars or with a large ensemble. "The Closest Thing to Crazy"? 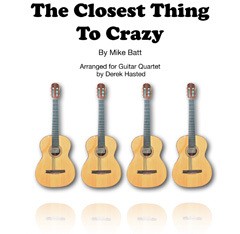 I have just published "The Closest Thing To Crazy" for intermediate guitar quartet or large ensemble - it's based on the arrangement that Hampshire Guitar Orchestra have played in concert, and it works equally well with 4 guitars or with a large ensemble. 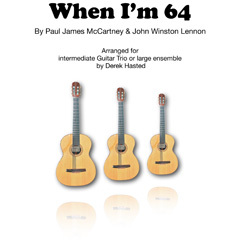 I have just published "When I'm 64" for easy to intermediate guitar trio - it's based on the arrangement my Guitar Workshop have played in concert, and it works equally well with 3 guitars or with a large ensemble. 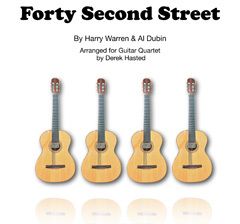 I have just published "Forty Second Street" for intermediate guitar quartet - it's based on the arrangement Hampshire Guitar Orchestra played, and it works equally well with 4 guitars or with a large ensemble. 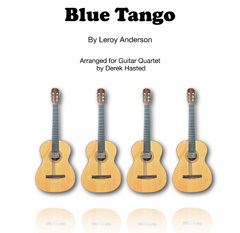 I have just published "Blue Tango" for intermediate guitar quartet - it's based on the arrangement Hampshire Guitar Orchestra played, and it works equally well with 4 guitars or with a large ensemble. 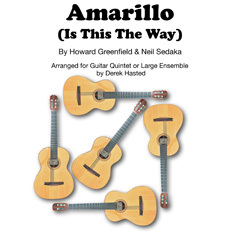 This accessible arrangement captures the punchy rhythm of the original and the lilting melody and countermelody. 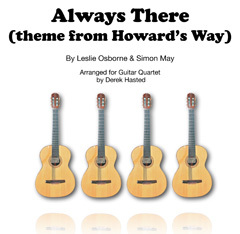 The flurry of activity that I mentioned at the tale end of 2018, when I published 23 more accessible and fun ensembles, well, it's turned into a flurry of downloads from the UK, America, Europe and Australasia. Exciting times!